The impending Mobile First update from Google looks likely to change the search game. With the search engine giant being as elusive as ever, we can only guess when they will be rolling out this update, so it is more important than ever that webmasters are prepared. 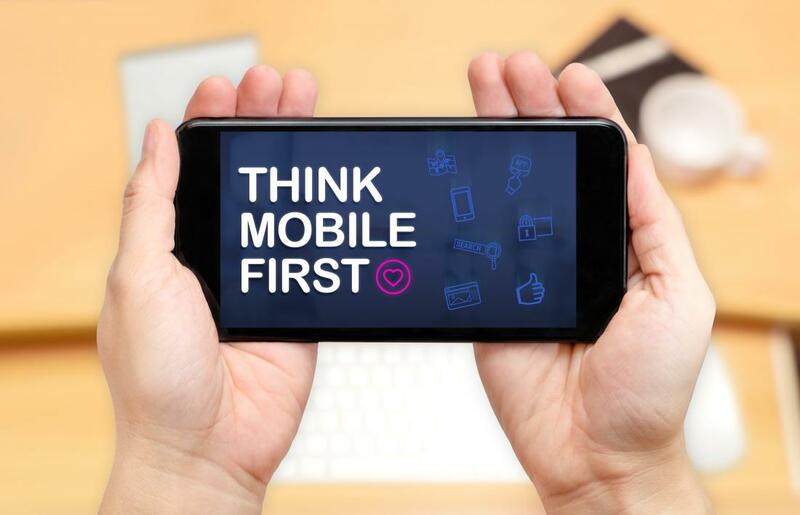 The good news is that many websites will already be mobile friendly - but it is not enough to simply rest on your laurels! Luckily, WordPress, the platform of choice for many small businesses is excellent for ensuring that all pages are automatically optimised for mobile devices. With over 3.5 billion mobile internet users as of August 2017, it has never been more important to ensure that your website performs just as well, if not better, on the small screen as it does on the big screen. If you are unsure of where to start, Google’s handy mobile-friendly test is a great tool that will analyse your website and let you know in seconds if your site is deemed as mobile-friendly. It can be easy to become overwhelmed by all of the technical requirements that Google look for in a website, but the main thing they are looking for is if the website is user-friendly. First and foremost, with this update, is that the site functions on mobile devices as it does on a desktop. With so many businesses utilising WordPress, it is worth noting that the majority of themes created in the last few years are mobile-responsive, meaning that your styled page will automatically fit the screen of a smartphone or tablet. Please note: Some themes are better than others, of course - especially when it comes to free ones that are available - which is why web developers rarely rely on these freebies. A key part of a good user experience on a mobile device is page speed and loading times. Long gone are the days of waiting for a page to buffer; people expect the internet at their fingertips in an instant. If your site takes more than a few seconds to load, you could be missing out on vital traffic. Is that a risk you are willing to take? Does the page fit the screen? Does the page flow easily? How long does it take for the page to load? Do images and/or videos display as expected and fit the screen? Can you easily read any content? Are you able to browse the website easily? What kind of navigation are you utilising? How many steps does it take to check out if your website is e-Commerce? Can users log in via social media profiles? If you answered no to any of these points, then we would highly recommend looking into making your mobile experience one to remember. While it has been previously acceptable to only have a handful of core pages displaying on your mobile site, with the Mobile First update, this is all going to change. If your whole site isn’t optimising for the mobile experience, then you could easily lose rankings, traffic, and visibility overnight. Any errors that do crop up should be dealt with sooner rather than later to minimise the negative effect they may have on your website – mobile or otherwise. We expect Google’s Mobile First update to be rolled out before the end of the year – so now is the time to get ahead of the game. Not sure how this update will affect you? Give our team of experts at i3MEDIA a call today to find out.